Textile House: What's up for October? Another month has started and I need to set my goals for the month. I find myself on a great pace to get thigs accomplished before the year's end although my family thinks I'm being a bit anti-social. Oh well! 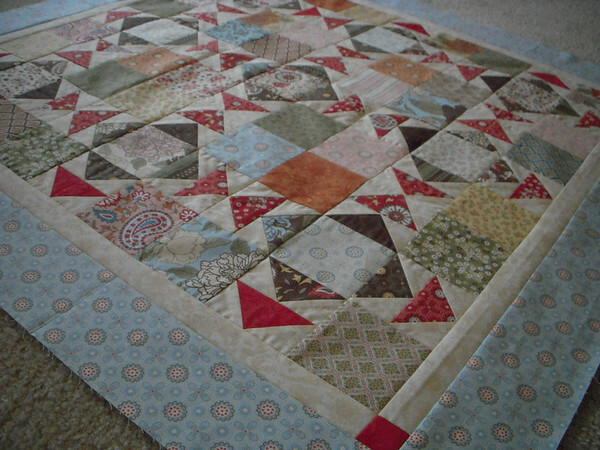 This month will be more of a quilting month vs a piecing month. I have several things I need to finish quilting and get them bounded before the month's end. First off are the two remaining baby quilts I finished back in September. I need to quilt and bind these in early October seeing that the babes have arrived and these need to go to thier proper home. Then I would like to quilt and bind the Schnibble I made in September, no use in adding this to my UFO's when I have the backing and the binding material sitting there. 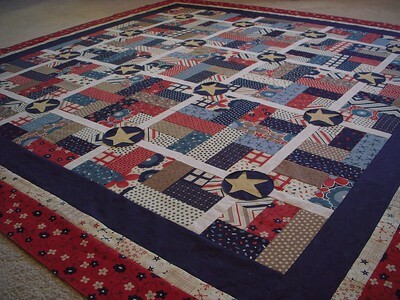 I also want to start quilting the Red, White and Blue quilt I finished in August. I pieced the backing so this one just needs to be basted and we can start quilting. I'll be working on the October Schnibble selection, Cindy Lou Who. I will admit this is one of my favorite Schnibbles (although I like them all!). I've been thinking about the fabric I will use but I honestly have not pinned it down yet. And last but not least I would like to finish my Gobble Gobble project. Remeber the charm packs I got back in July? Well, I started my project and I have 5 block completed, and after a quick visit to the Pumpkin Patch I have the proper sashing fabric to make it beautiful!! I think that is more than enough! Let's see how much I accomplish. 4 comments on "What's up for October?" I can't wait to see all of these! You can send me any binding projects. I really do enjoy binding. It's kind of relaxing, "Listening to my story in a comfy chair" kind of work... so quilt and bind one and ship it, by the time you're done quilting the next one I'll have the first one all done. =) JLMK! Oh, I love it! Of course, I may be a little biased, but yours was my favorite. ;-) Thanks for sharing it with me- so fun to see! Your Sweet Cheeks turned out great too! Yeah! I cannot wait to see these. 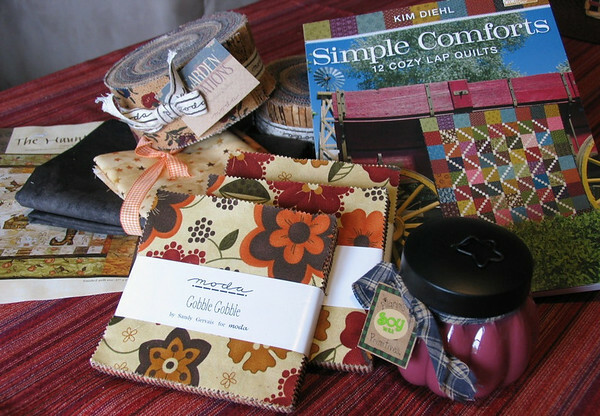 I love those quilts.